PERFECT BABY SHOWER GIFT or PRESENT: (Includes first 12 Months, PLUS 4 Significant milestones 1st Smile, I Can Walk, I Can Crawl, 1st Tooth.) They fit on any babys outfit or onesie it doesn’t matter if they are a boy or girl! Surprise the new pregnant mother with a beautiful Gender Reveal or Baby Shower or Sprinkle Present Idea during her pregnancy! 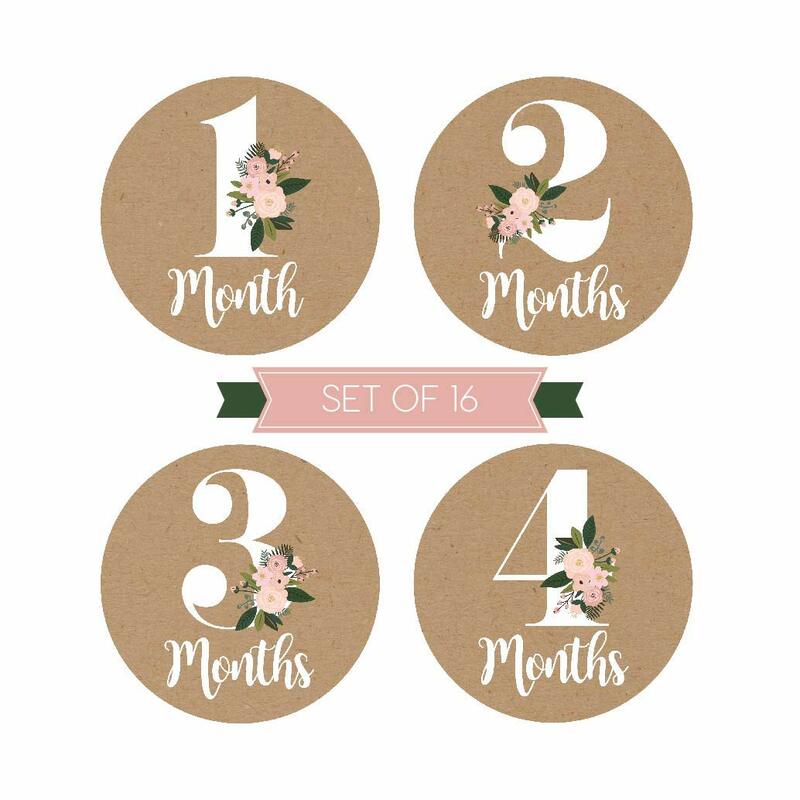 Makes a unique photo picture prop or scrapbook keepsake for the mom to be to capture the first few months and age of her little infant’s growth. 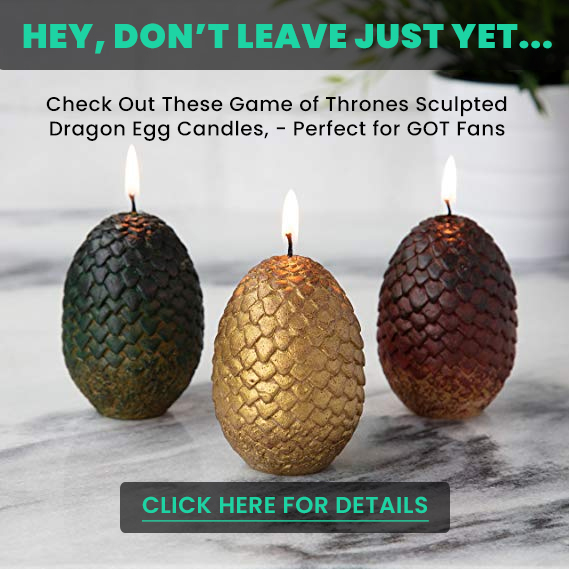 EASY TO USE: We made it SUPER EASY! Just peel the sticker and stick it to your baby’s outfit typically on the belly area. The new matte coating prevents glare which create perfect photos and share them with friends and family! 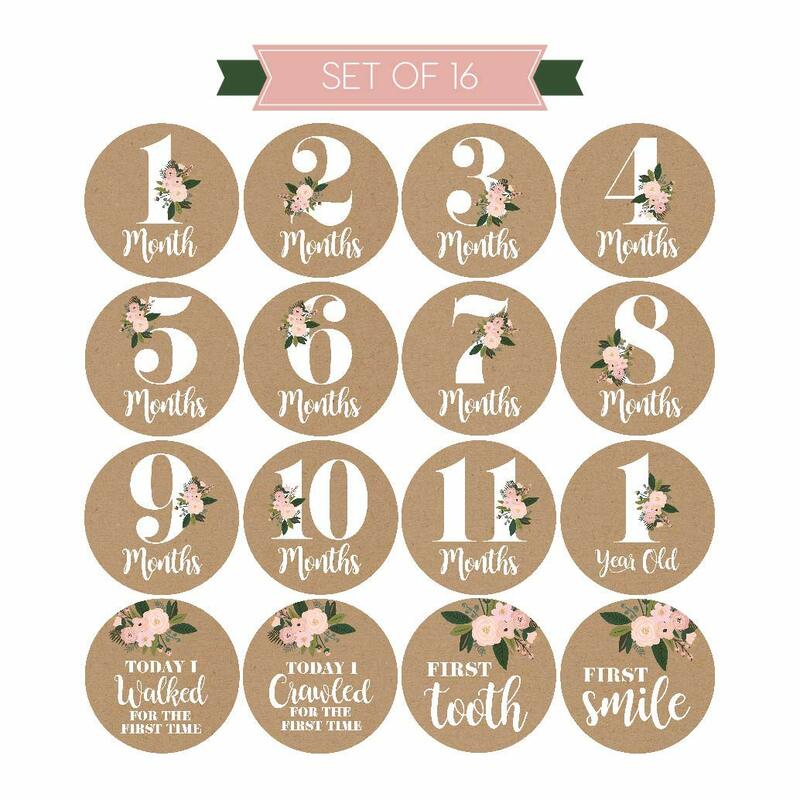 So capture each month from newborn to one year with a cute design and post the pictures on a wall, board or scrapbook planner! Babies are the best, so don’t forget to cherish each memory! NO GLARE – The matte finish on our stunning designs was chosen specifically to reduce glare during photographs, so you can capture the shot at just the right time. Sometimes you only get one chance. 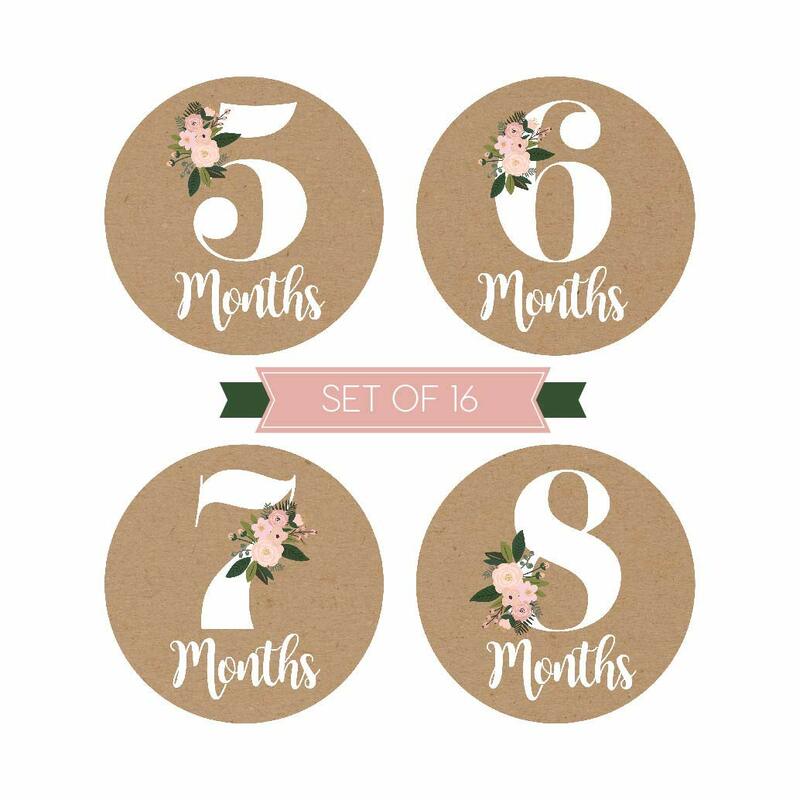 Why should you order baby’s First Months Milestone stickers? BONUS – 16 Different Mommy Milestones! 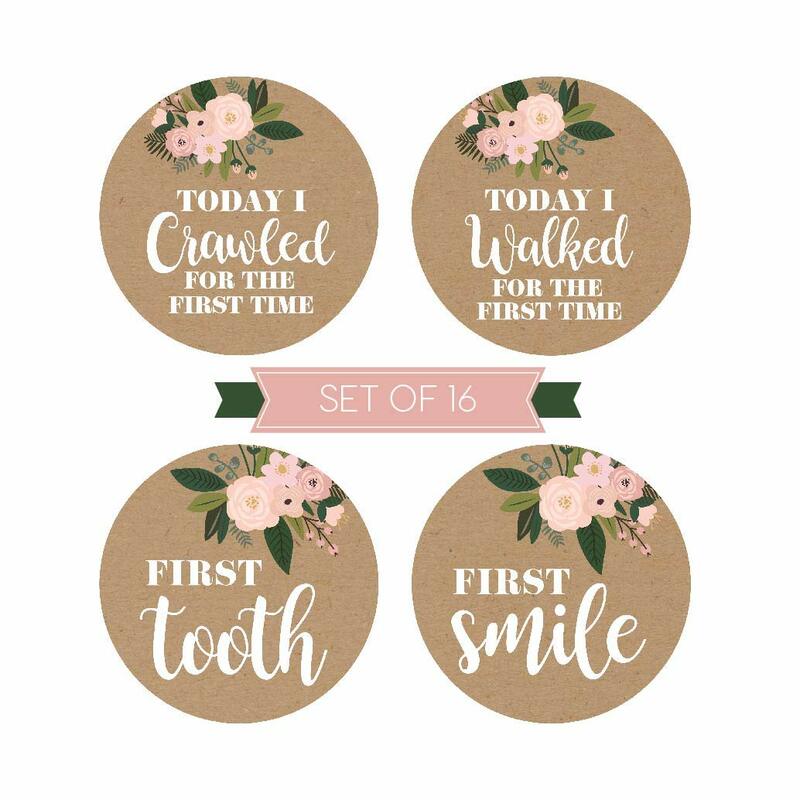 Our stickers are the perfect addition to your baby shower, pregnancy announcement celebration, gender reveal, baby sprinkle & more! 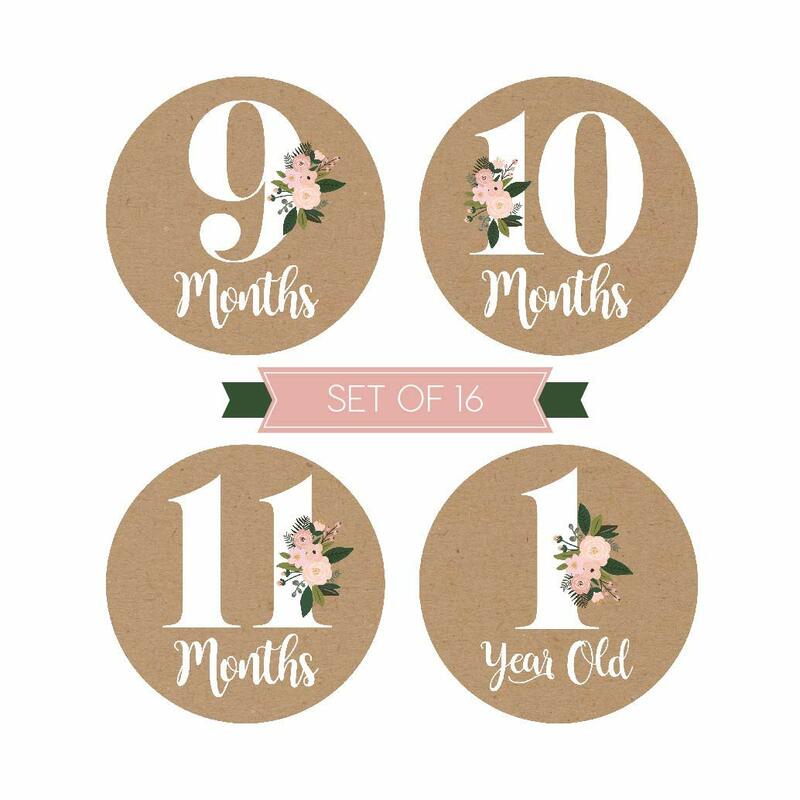 All of our stickers have been designed by our own personal in house graphic designer to specifically fit on a onesie on a baby’s belly! Great for both boys and girls, these are unisex and gender neutral! 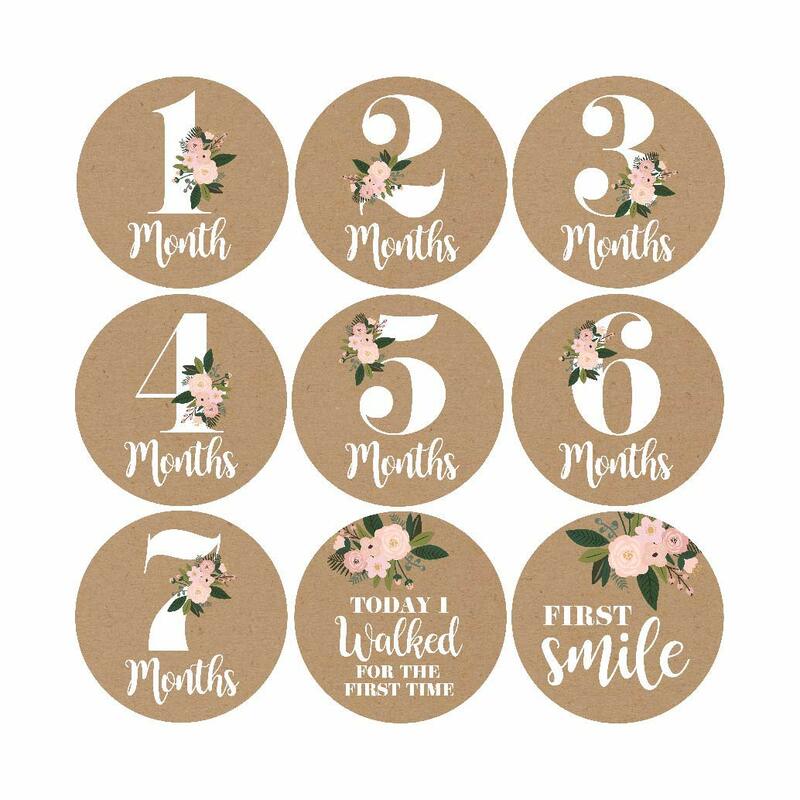 Mother’s like to take pictures of their new baby’s age every month and these make the best photo props to capture every milestone achievement, these stickers will become a keepsake that you will want to keep in a scrapbook for babies, theses vinyl stickers have a 4 inch diameter so they are not too small or too large. HIGH QUALITY – Premium ink quality, matte finish, high water and smudge resistant and most importantly very sticky! 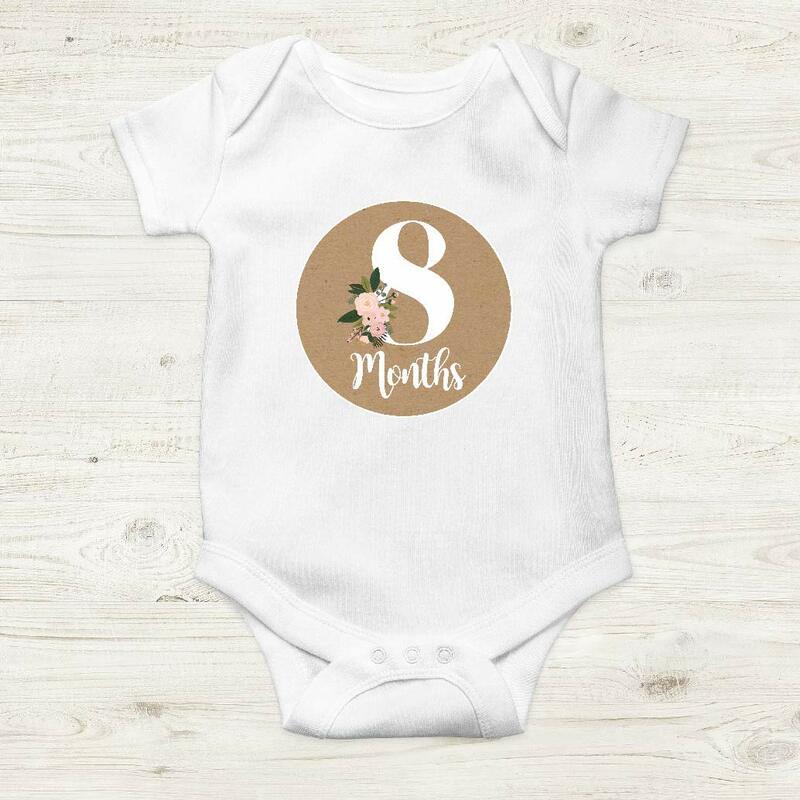 Perfect for any birth month for new or recently born child. Unisex neutral colors.